The story starts with the statement “It’s a word“, which automatically raises the question “what word is it?” in the reader’s mind. Each page then presents an answer to the unasked question, in a combination of short sentences and exquisite illustrations. As the author commented this summer in an interview (available in Italian here), social networks and celebrity cults seem to have altered the way we think about friendship. 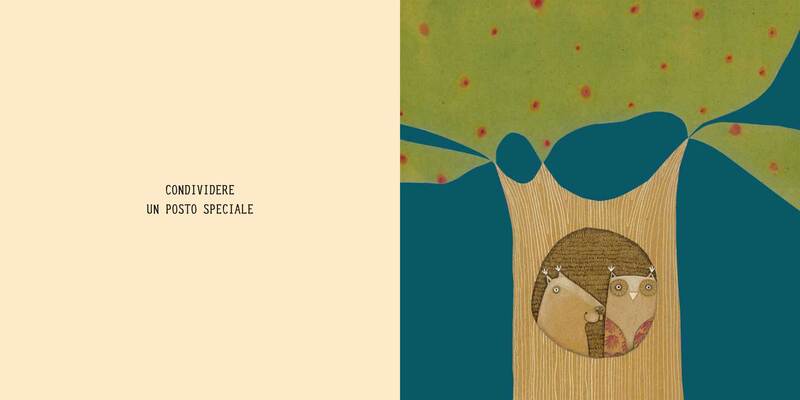 So she decided to explore the real, and much deeper, meaning of friendship using this Italian play on words – it’s a word, it’s hard to define, what is it – to make up a guessing game for children. In fact, as you turn each page, the first thing you see is a picture on the right depicting an aspect of what the secret word may be (only revealed at the end) before the eye moves to the left to have your interpretation of the illustration described in words. These short “clues” – never more than five or six on each page – offer just the right degree of explanation for the engaging visual narrative and gentle journey into something adorable, in the company of the equally adorable animals. What is it? It’s friendship. 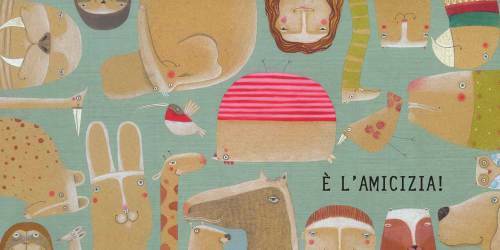 E’ Una Parola is a delight to read and the perfect example of the power of a picture book. 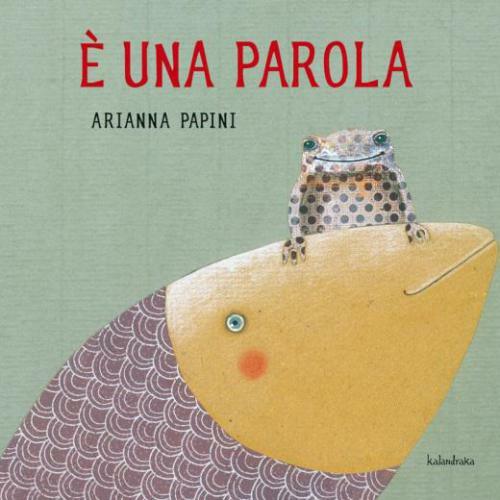 Author Arianna Papini has written and illustrated more than 70 books for La Nuova Italia, Fatatrac, Edicolors, Lapis Edizioni, Città Aperta, Carocci Editore, Avvenire, Coccole e Caccole, and Kalandraka . She has won received widespread acclaim and numerous awards for her writing, and several books have been published in France, Spain and Great Britain.